Buy lamb meat online from Levillage.com! Lamb meat is tender and less strong in flavor than the one from older sheep. It is also a much leaner meat than beef. Lamb meat is particularly popular in Mediterranean cuisine and the leg of lamb is considered as the national dish in Australia. Lamb meat has great nutritional benefits and is a good source of Vitamins A and B12, heart-healthy omega-3 and omega-6 fatty acids and other antioxidants. 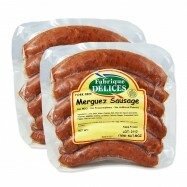 Levillage.com’s lamb meat selection includes spicy lamb sausages also called ‘’Merguez’’. 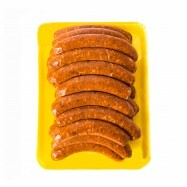 These sausages are guaranteed 100% lamb meat, hormones & antibiotics free and without preservatives, MSG, nitrites and artificial ingredients. Since 1997, these finest and healthiest lamb meat products can be delivered at your doorsteps within 24 hours.